After 46 years, the 1960 Black Les Paul Custom, known as Black Beauty" was found and finally returned to Jimmy Page. This Les Paul was used by Jimmy Page in the early 1960s in most of studio session player cuts and was stolen in 1970. 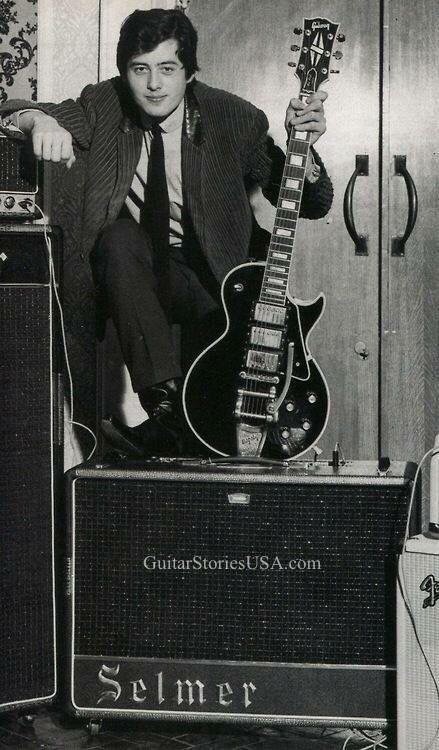 Jimmy was one of the first British Rockers to play a Les Paul, followed by Eric Clapton and Keith Richards. 1960 was the final year Les Pauls were manufactured by Gibson until they resumed production in 1968. Many guitar aficionados believe that the 1958-1960 Gibson Les Pauls were the finest electric guitars ever made. The reason they started popping up in London in the early 1960s, and scooped up by players like Page, Clapton and Richards, was that prior to 1960, England actually had a trade embargo on all U.S. Dollar based imports. Jimmy Page was one of first of what would become the classic rock royalty to play one...and this Black Beauty was the one! Great to see it has finally come home to Jimmy after all these years!